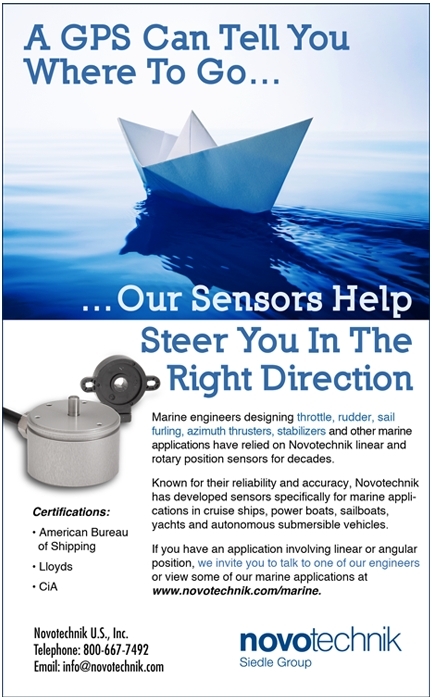 The applications below show some of the marine applications where Novotechnik position sensors are used. Clicking on the thumbnail images will reveal more detail on each application including a description and the product used. For your convenience data sheets are posted for each product below the detailed application write ups. Certificates of design assessment issued from various bureaus or authorities are also available upon request. We invite you to contact us for further information or to discuss your particular application.